Medical Conditions and Massage Therapy is available as an e-book! Read the Preface—an inspiring note from the author, how her book supports teachers, a quick overview of the book’s features and the system. See an entire chapter (Nervous System Conditions), online materials, and samples of client stories at the publisher’s website. 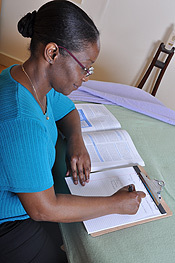 Explore the 5-level Massage Therapy Pressure Scale used throughout the book, and in hospitals and clinics around the U.S.
See how Decision Trees for blood clots, female infertility, and lymphoma organize massage contraindications into a quick reference format. View general Interview Questions about medications, and specific questions about stroke and atrial fibrillation. These questions go beyond the basics to find out specifics for each client condition. 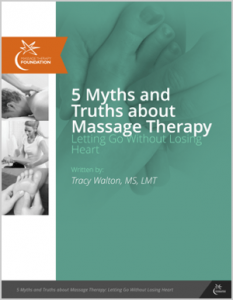 See comprehensive Massage Guidelines for heart disease, covering many possible client presentations, rather than a single contraindication for a single disease. Read Research Summaries for three conditions: depression, high blood pressure, and HIV disease. Read about Medications that require massage adaptations, including NSAIDs, corticosteroids, and cancer supportive care. Contributors shared wonderful stories called therapist’s journals. These samples tell stories of clients with blood clots, asthma, and scabies, a highly contagious skin condition. Innovative artwork shows common client presentations, and corresponding massage adjustments, directly on the human body. See massage contraindications for leukemia, stroke, and postsurgical patients.